My favorite mustards, Lace Pods (Thysanocarpus curvipes), are blooming - and fruiting. 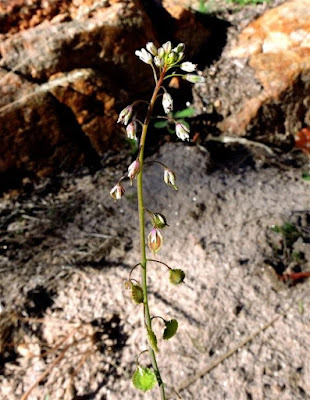 Click on photo for larger view and note the developing fruit still in the flower at the mid-point of the stem. Below are more fruits; above, more developing fruits in flowers; at the very top, flowers to be pollinated. 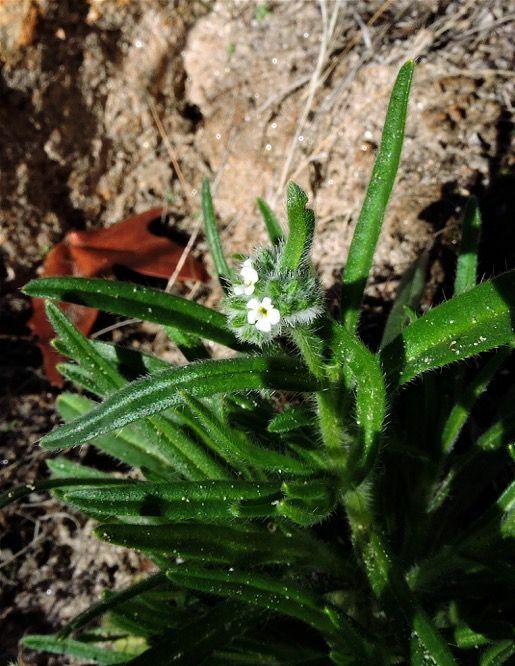 Borage family plants are also first bloomers in the Spring. This is one of the Cryptantha species. 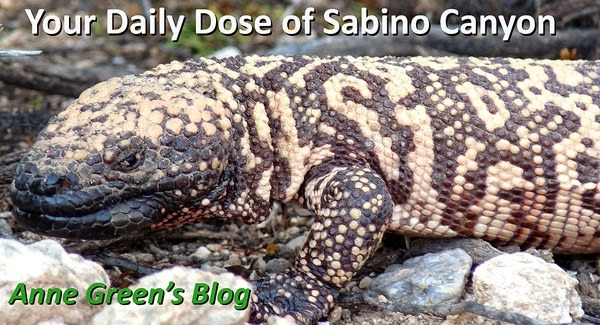 There are three in Sabino; they are difficult to tell apart - and the experts generally need the fruits to confirm the identity. We'll have to wait on that!